National School of Public Policy has announced 15 New Jobs in Daily Pakistan Newspaper 18th March 2018. Interested Candidates can apply for Latest Government Jobs 2018 as Chowkidar Admin Wing. Candidates who fulfill the required Criteria are directed to send their application along with all attested Copies of Educational Certificates, Passport size latest photographs, and CNIC Copy to the office of Deputy Director Human Resource National School of Public Policy, National Management College Shahraye Quade Azam Mall Road Lahore. 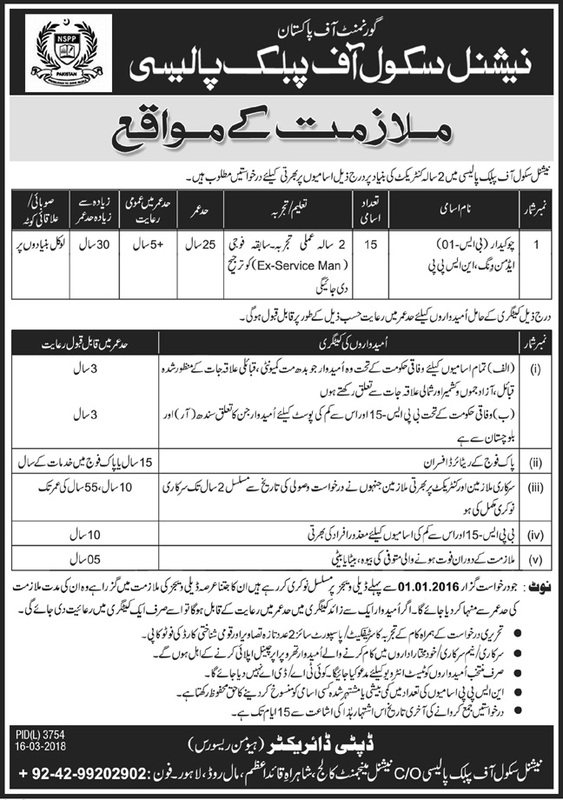 National School of Public Policy 15 Jobs Daily Pakistan Newspaper 18 March 2018.